The Big Island of Hawaii is an island like no other, an island with a fascinating history, spectacular natural attractions and an exceptionally scenic coastline in the middle of the deep blue Pacific Ocean. On the rugged and undeveloped coastline of the Kohala Coast lies Waikoloa, a beautiful part of the Big Island set around the prime Anaehoomalu Bay (A-Bay), where luxury resorts are scenically placed into ancient lava flows and historical landmarks and natural attractions are endless. Journey with us as we share the aloha spirit and explore the best authentically Hawaiian experiences in and around Waikoloa, from unspoiled sands and underwater worlds to historic petroglyph fields and ancient royal fishponds. #1: Black and white sands, coral and lava rocks - every stretch of our coastline is a new experience. 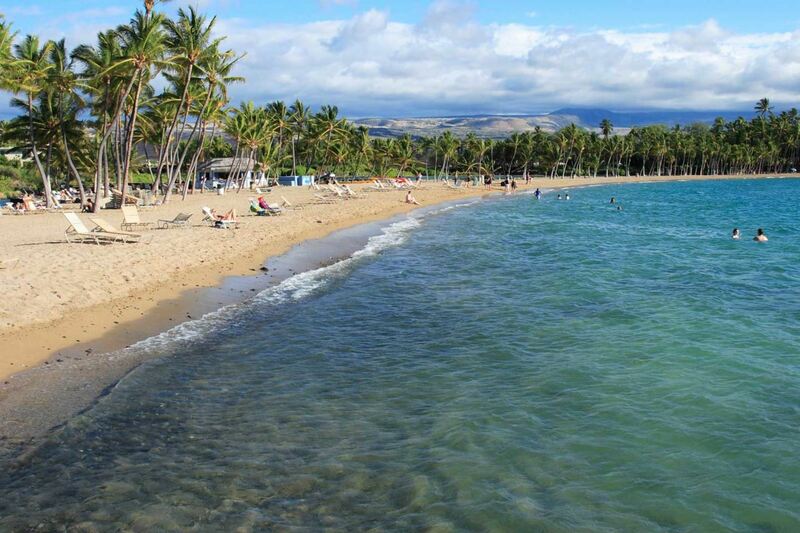 Waikoloa lies on the shores of A-Bay, a prime WATER-SPORTS destination with beautiful landscaped grounds, ancient fish ponds and beautiful palm trees. Unwind on the wide white sands and wade in the waters of the legendary Hapuna Beach, Waialea Bay (69 Beach) and Mauna Kea Beach or take a worthwhile drive to the perfectly clear turquoise waters of Kua Bay and hike the summit of Pu’u Ku’ii. Step back in time at the Kaloko National Historic Park, home to sacred temples, petroglyphs and sea turtles. Take a trip further south to Magic Sands Beach. Tidal shifts may have caused the beach to disappear but the picture perfect sunset is a must! #2: Explore the warm tropical waters and colorful underwater world by SNORKELING. Kahaluu Beach Park is famous for its sea turtles (Honu) and further south the underwater marine sanctuary of Kealakekua Bay (Captain Cook) is a treasure trove of tropical fish and coral. Adjacent to Puuhonua o Honaunau lies a series of tranquil, turquoise bays offering pure underwater bliss as you swim alongside endangered green sea turtles in paradise. #3: Get up close and personal with our marine life as you discover the sea caves and coral belt of the island on a SCUBA DIVING excursion. #4: Keep your head above the water and enjoy the marine life from the surface as you paddle the coastal waters on a STAND UP PADDLEBOARD (SUP), a fun and energetic way to discover the tropical waters. 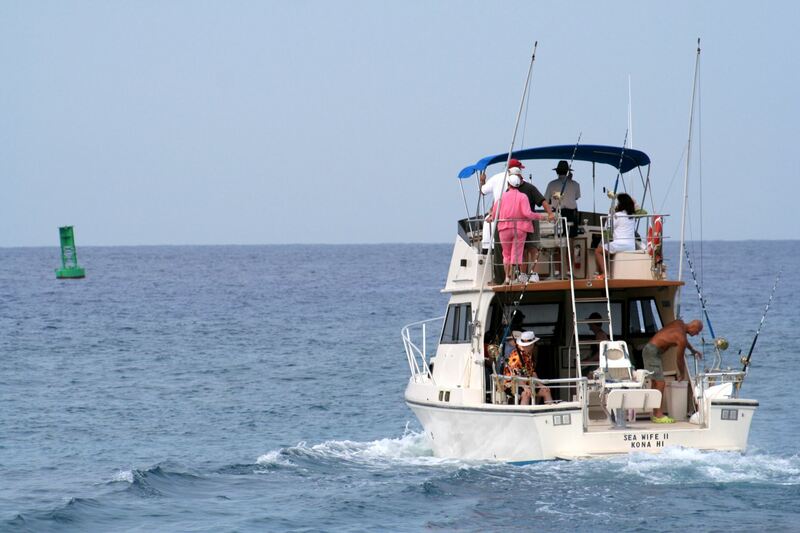 #5: Go in search of the mighty HUMPBACK WHALES (na kohola) that visit the waters of Hawaii from November to May. Watch these majestic animals in their natural habitat as they breach out of the warm ocean waters. #6: The Kona Coast is famous for its big game fish! Spend the day on a FISHING charter for the perfect catch. #7: Relax under the shade of the palm trees and enjoy a PICNIC at the rocky Holoholokai Beach Park. Stroll through the nearby ancient petroglyph fields along the Malama Petroglyph Trail. #8: Immerse yourself in our Hawaiian heritage on the ANCIENT PATHWAYS AND PETROGLYPHS on the island. Stroll the ancient pathways at the Waikoloa Petroglyph Preserve and the Puako Petroglyph Archaeological Preserve, visit the ancient temple of King Kamehameha at Puukohola Heiau National Historic Site and view the ruins of the 600-year old traditional fishing village at Lapakahi State Historical Park. #9: Our island is home to unique plantations of the world's finest and rarest coffee and the Kona Coffee Living History Farm tells the story of the KONA COFFEE BELT, producing some of the best coffee in the world. Sample the world’s most prized coffee on the Coffee Country Scenic Drive. #10: Four of Hawaii’s five active VOLCANOES are on the Big Island. Visit Mauna Loa, the world’s largest volcano covering half of the island and Mt Kilauea, one of the world’s most active volcanoes. Standing tall in the Hawaii Volcanoes National Park, Mt Kilauea is a World Heritage Site and the #1 attraction in Hawaii. Not to be forgotten are Mauna Kea, Hualalai and Kohala. Stargaze from the summit of Mauna Kea, learn about volcanoes at Kaupulehu on Hualalai, a beautiful place amidst a surreal landscape of lava, forest, mist and craters. Kohala Mountain is the oldest volcano on the island that once created the stunning sea cliffs of Pololu and Waipio Valley, last erupting over 120,000 years ago. #11: Discover the natural attractions and beauty of the coastline at your own pace on a HIKE across foot bridges through lush vegetation to some of the most incredible waterfalls. There are many trails from beginner strolls to rigourous hikes with spectacular views around every corner. Follow the pristine coastline over ancient fishermen trails along the 15.4-mile Ala KahaKai Trail at Waialea Beach, a great site to spot humpback whales in the winter months. #12: Prefer to adventure with your feet off the ground? Another great way to explore is BIKING OR HORSEBACK RIDING! Cruise along the shores, ride through rainforests to volcanoes or experience the lively Aloha Spirit riding through the towns. Avid mountain bikers can enjoy spectacular scenic trails through lava fields and lush rainforests at the Hawaii Volcanoes National Park with dramatic views and unique archeological sites. Staying true to Hawaii’s unexpected rich cowboy culture, many paniolo traditions continue and you can explore the beautiful landscapes of Hawaii by horseback at one of the many ranches. #13: Adrenaline junkies not happy to settle for a hike or bike ride can take to the skies on a ZIPLINE adventure through the forests or a HELICOPTER TOUR of a lifetime! Hidden waterfalls, fresh lava flows and lava lakes are just a few of the surprises you will discover when you experience this unique perspective of our exceptional island. If luck has it, you may get to enjoy an awe inspiring experience watching the lava flow down the island into the ocean. #14: The Big Island is unique and its true to say that every road you take is a SCENIC DRIVE. Venture further on our scenic roads winding up mountains, through small towns and along coastal cliffs. #15: The Big Island is known as the GOLF capital of the state of Hawaii and Waikoloa Beach is home to spectacular championship golf courses. Tee off at Waikoloa Beach Course, Wakoloa Kings Course and Waikoloa Village Golf Course. #16: Time on your hands? 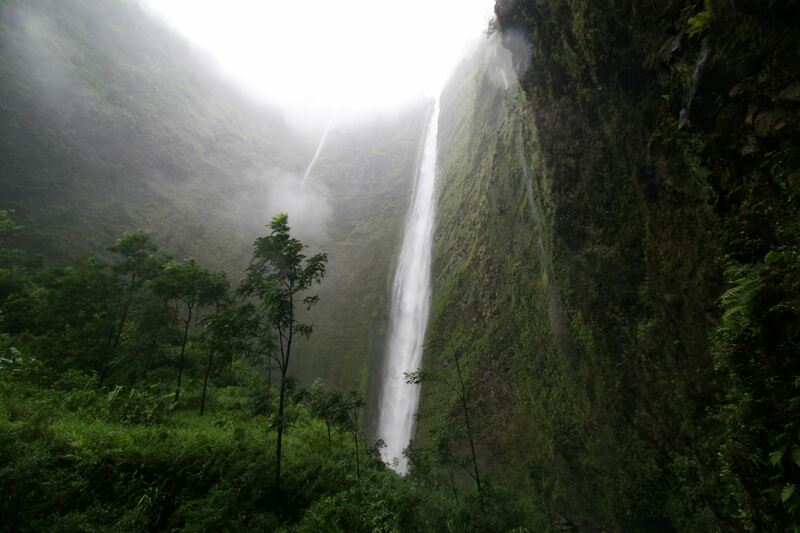 The WEST COST OF THE ISLAND is home to the Panaewa Rainforest Zoo, Hawaii Tropical Botanical Gardens and Hawaii’s most stunning waterfalls – Rainbow Falls, Akaka Falls and Kahuna Falls. Further south lies the jet black shores of Punalu’u Beach, home to the endangered Hawksbill and Green Turtles. #17: Experience the lively atmosphere of the surrounding towns. Shop to your hearts delight at Kings’ Shops and Queens’ MarketPlace in Waikoloa or on Ali’I Drive in Kailua Kona. Sample local produce as you browse the stalls of the many FARMERS MARKETS in nearby Kailua-Kona, the gems of the Big Island of Hawaii. 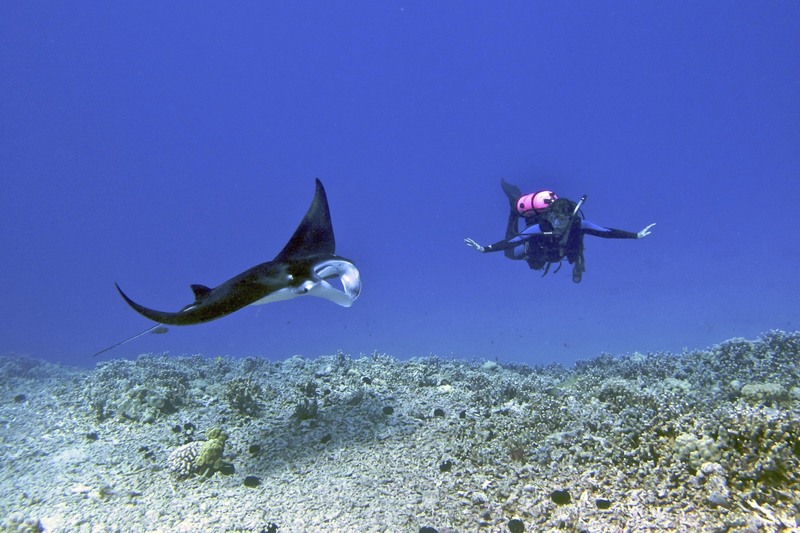 #18: An unforgettable experience, mesmerizing and memorable, is the famous KONA MANTA RAY NIGHT DIVE. Take the plunge and witness the manta rays swimming and somersaulting in the ocean waters. #19: End your day serenely, sundowner in hand as you watch the GREEN SEA TURTLES soaking up the last rays as the sun sets amongst the coconut palms or experience and celebrate Hawaiian culture through music, dance, stories and traditional food under the stars at a Luau. #20: Head above the clouds and explore the heavens from the top of Hawaii’s most sacred mountain. Home to the world’s largest astronomical observatory, Mauna Kea takes STARGAZING to a whole new level at 13,800 feet. Kohala Luxury Rentals welcomes you. 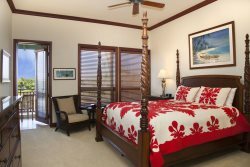 A vacation on the Big Island is not just a vacation, it is an experience rich in heritage, culture and natural beauty and we have the perfect Waikoloa vacation rental to ensure your experience is a unique one.